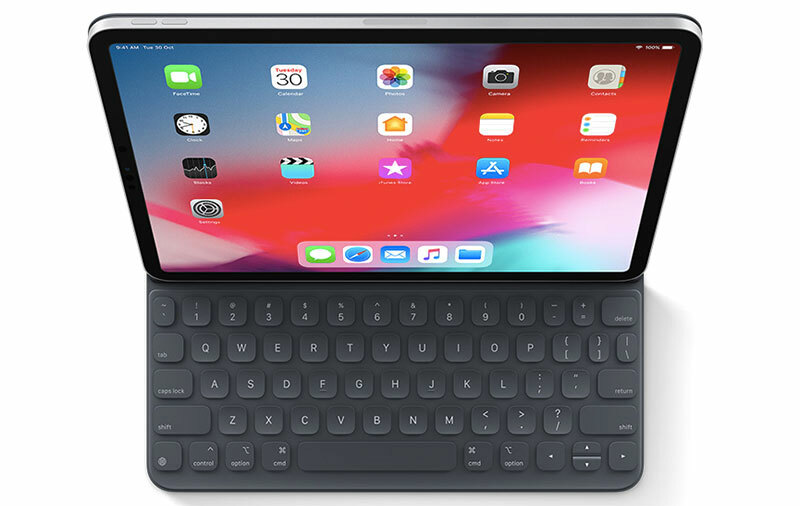 Note: This article was first published on 30th October 2018 and is re-published as the iPad is now available in retail. At a special event at the Brooklyn Academy of Music today, Apple has announced the new 11-inch and 12.9-inch iPad Pro tablets. Appearance-wise, the most obvious difference between the new iPad Pros and their predecessors is the new models’ edge-to-edge display. Like the iPhone XR, this is an LCD-based Liquid Retina display, which uses pixel masking and sub-pixel anti-aliasing so that the screen’s corners follow the curves of the device. So despite the bigger 11-inch screen (2,388 x 1,668-pixel resolution), the smaller iPad Pro has the same footprint as last-gen’s 10.5-inch iPad Pro. The bigger iPad Pro’s screen still stands at 12.9 inches (2,732 x 2,048-pixel resolution), but the deletion of the bezels means it’s now more compact. 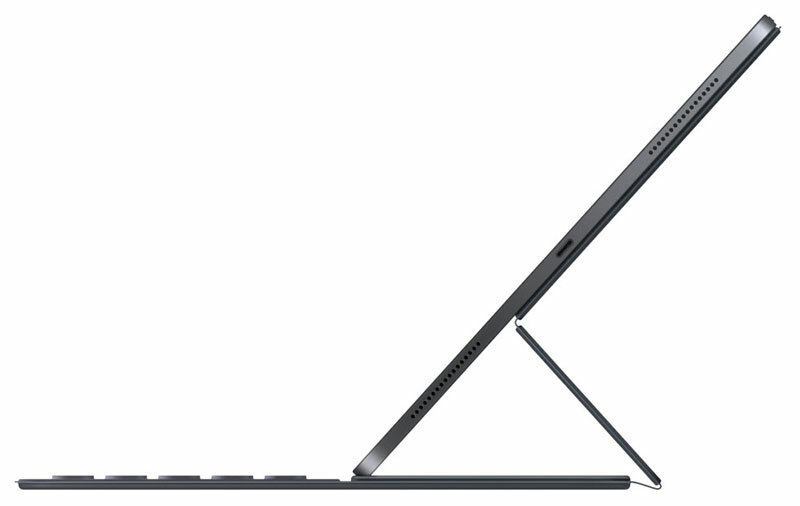 In fact, the new 12.9-inch Pro has 25% less volume than the model it replaces. The new 5.9mm-thin iPad Pros also come with Face ID powered by the front-facing TrueDepth camera system (that was first pioneered on the iPhone X). Unlike the iPhones, Face ID on these new iPad Pro tablets works in any orientation. And no surprise, the home button (along with Touch ID) is now gone. If you’re used to using gestures on your iPhone X and later to navigate, multi-task, and adjust settings, this shouldn't be a big miss - I think you'll get used to the tablets’ new gestural navigation mode in no time. For what it’s worth, the rear camera is a 12-megapixel module, and it can shoot 4K at 60fps. Under the hood, the new iPad Pros use Apple’s new A12X Bionic chip that’s manufactured on a 7nm process. Sporting 10 billion transistors, the A12X has an 8-core CPU (Fusion architecture, 4 performance + 4 efficiency cores), a 7-core GPU (with support for tessellation, multi-layer rendering, lossless memory compression), and a Neural Engine that brings real-time machine learning to photos, AR, and more. According to Apple, the A12X’s single-core and multi-core performance are 35% and 90% faster respectively than the previous A10X Fusion chip. Apple also quips that the new iPad Pros deliver Xbox One S-class graphics performance, but in a smaller form factor and without a giant power supply unit. 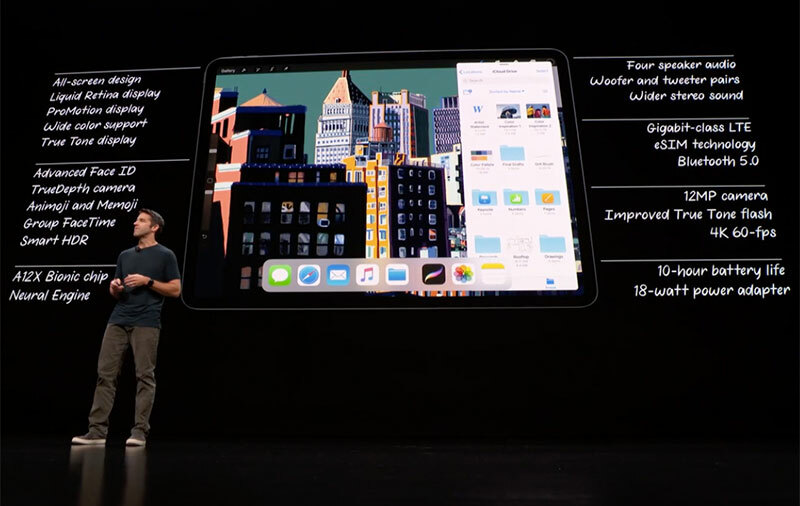 Another major hardware addition is the new fast storage controller, which enables the new iPad Pro tablets to offer up to 1TB of flash storage. Apple has also ditched the Lightning port in favor of USB-C. This brings several benefits: you can now connect accessories such as a 5K display, camera, or dock directly to the device, as well as use the iPad Pro as a power source to charge your iPhone. The tablets come bundled with a USB-C cable and 18W power adapter. And in case you're wondering: yup, the headphone jack is gone, too. Apple is also introducing a new Apple Pencil. The redesigned S$189 Pencil with a matte finish attaches to the iPad Pro magnetically (there are 102 magnets on the device! ), and is able to automatically pair and charge wirelessly. And tapping the Pencil on the iPad Pro’s screen will immediately wake the tablet and launch Notes. A built-in touch sensor detects taps, so you can do things like double-tapping to switch tools in an app. For typists, there’s a new Smart Keyboard Folio that enables the device to sit at two different angles. Unlike the old Smart Keyboard, this new folio protects the front as well as the back of the tablet. 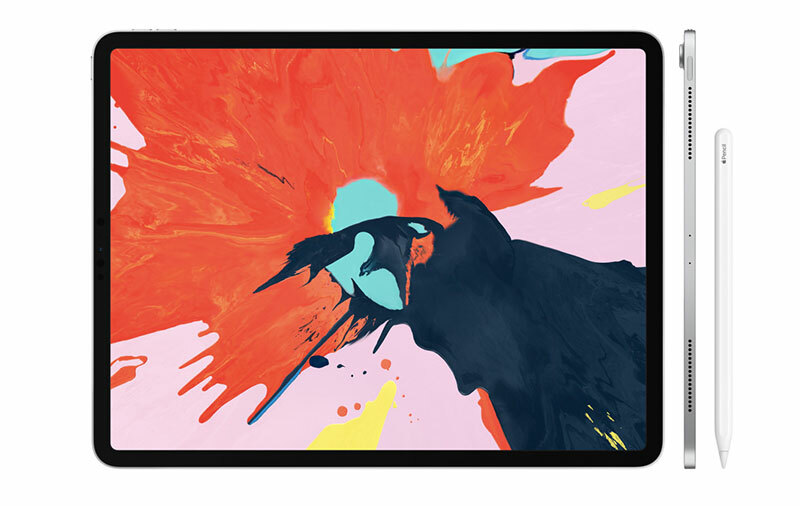 The folio costs S$269 for the 11-inch iPad Pro, and S$299 for the 12.9-inch iPad Pro.